Last year I paid a visit to the Merkel factory in Suhl – a German town where gunmaking dates back centuries. My idea of the factory was a small workshop turning out handmade guns on a minimum of old machinery. Wrong! It’s actually a huge facility where everything is done under one roof on some of the most sophisticated high tech machinery imaginable. Yet its guns are still put together using traditional hand work – skills Merkel is determined to preserve through the creation of a gunmaking school dedicated to continuing the art. The traditional Germanic look of Merkel guns has not always appealed to the British shooter so the maker and its UK importer, Viking Arms, have now created two guns that will – a 20-bore side-by-side and a trigger plate action 12-bore O/U with sideplates. 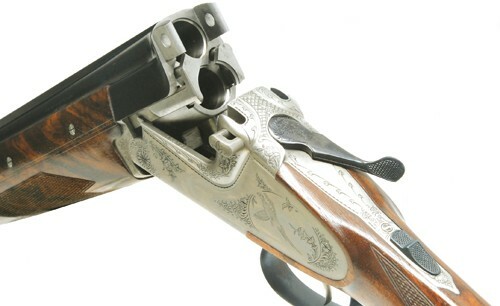 The 12-bore is locked by Merkel’s famous Kersten system which operates with a bolt coming out of the left side of the action frame when the top lever is pushed across. It’s an extremely strong arrangement. 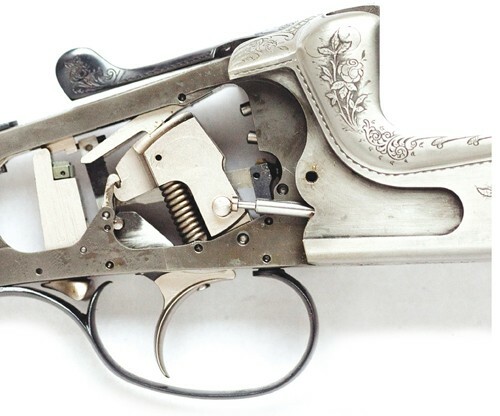 New features on this gun are replaceable drawers in the bottom of the action to keep the action tight and an adjuster at the back of the fore-end loop to take up any wear. And another well thought out piece of design is the replaceable breech face. The gun has been stocked to suit the British market with a length of 14.3/4in and drops at comb and heel of 1.1/2in and 2.1/4in respectively. The wood sports a nicely rounded pistol grip and carries a slight right hand cast of 1/4in. The three-piece fore-end fits very precisely together and the wood to metal fit is very good. Everything is hand fitted and made off, and it shows. Wood quality is top notch and the gloss oil finish shows off the dark, bold, figure really well. The chequering is cut by hand and nicely executed. The 30in barrels have 3in magnum chambers and a solid, tapered, top rib that’s finished with neat matting and a small brass foresight. 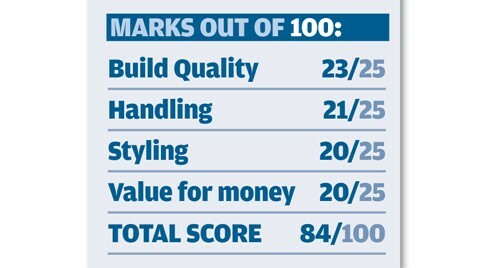 I’ve got to say that the standard of striking up on the barrels is excellent. The gun weighs in at a little over 7.1/2lb and although the action seems a little bulky because of the Kersten bolt system the gun is light and lively in the hands. The gun comes in a presentation case. The gun is multichoke, though it only comes with 2 chokes. Others can be bought if needed. This is an extremely well made and strong gun. Like most things made in Germany there are few frills but it’s very well designed and made to last. This is a handmade gun with a long history and heritage behind it.